Another weekend has come and gone and another one is rolling around already. 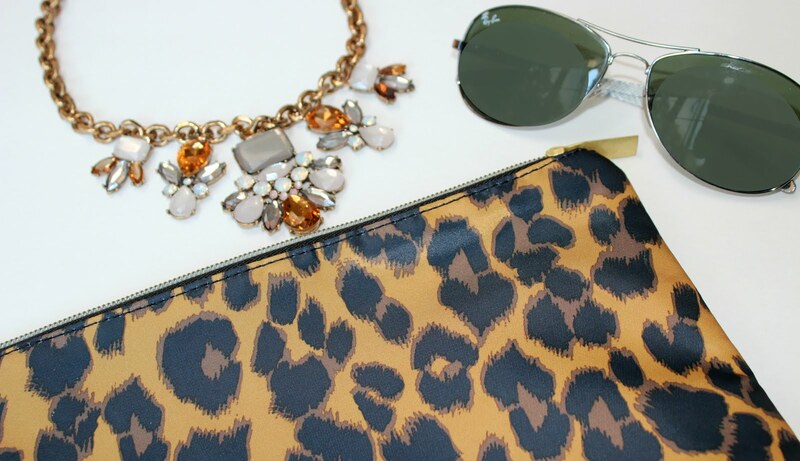 This weekend we will be in full prom-prep mode as we go shopping for the dress and all the accessories. Shopping with Emma is always an adventure since she's not one for making swift decisions. She often lingers over items for well over 20 minutes, abandons them, only to return to the store an hour later to labor over the decision a little more. But, there is the Nordstrom coffee bar, so at least there's that. Here's what else I'll be up to this weekend. Since becoming a vegetarian, I'm always searching for light pasta dishes that aren't loaded down with heavy, creamy sauces or quick tomato sauces. 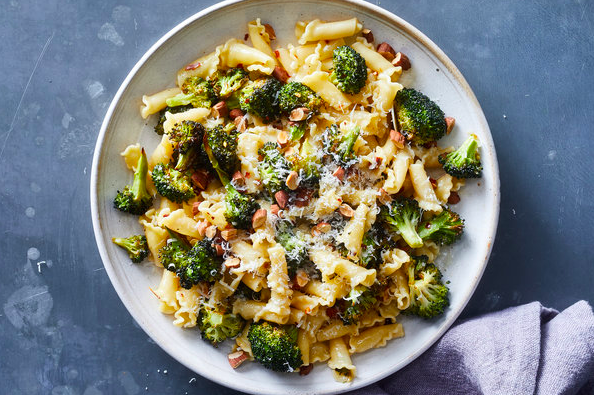 When I came across this recipe for pasta with roasted broccoli, almonds and anchovies, I knew it was a keeper. I eliminate the anchovies because they aren't my thing, but if you like them, go right ahead. As a side note, the New York Times cooking section has some wonderful recipes and articles that are worth checking out. 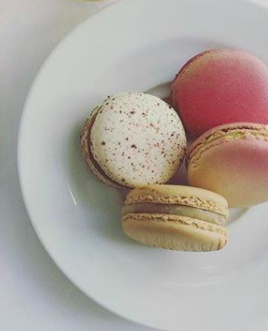 Chances are you've done a Buzzfeed quiz at least once. If we're being completely honest, it's more like 50 times, but hey, who's counting? And you might have even read an article on the popular site at one time or another. But do you have any idea what goes on behind the scenes at Buzzfeed? Everything from content topics, to in-person interviews to brainstorming sessions are now detailed in a docu-series on Netflix called Follow This. Most episodes are between 15 and 20 minutes, so they won't require a huge time commitment. Whether you have an interest in journalism or you don't, you can't help but to find this series fascinating. 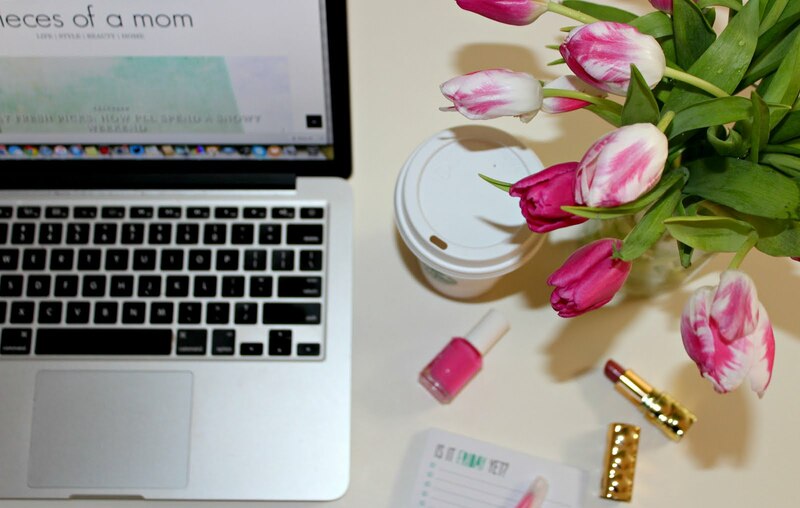 When I first heard of Drybar, I thought, "Ugh. Why didn't I think of that?" I find entrepreneurs to be utterly mesmerizing. 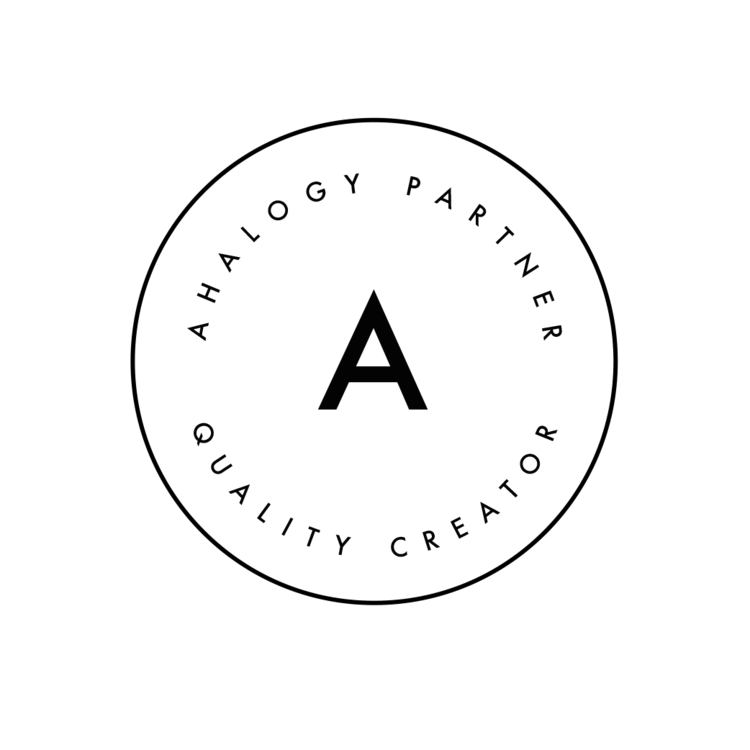 Their thought processes, creativity, unique ideas are beyond enviable. But have you ever wondered what it took to get them where they are today? 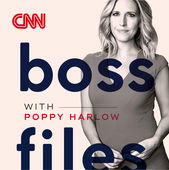 Give a listen to Boss Files with Poppy Harlow, and you just might find out. CNN's Poppy Harlow explores the journeys that have brought some of the most famous business and global leaders to where they are today. Harlow interviews such greats as Tory Burch, Rebecca Minkoff, Justin Trudeau, and Robert De Niro. Are you a spring cleaner? Do you scour every room from floor to ceiling? I have a general rule that we try to follow: keep the house tidy enough that you'll only ever need 5 minutes to straighten up in the events that someone calls and says, "Hey, I'm stopping over in 5 minutes to drop off that baking dish I borrowed." So, I never really have to do a thorough cleaning or tidying in spring. However, there are some grossly ignored areas of our home (closets, attic, loft in the garage) that are just too scary to go near unless it's during spring cleaning. There's also the issue of the kitchen pantry. I regularly tidy up the pantry. But a thorough cleaning? Yep, it's time. 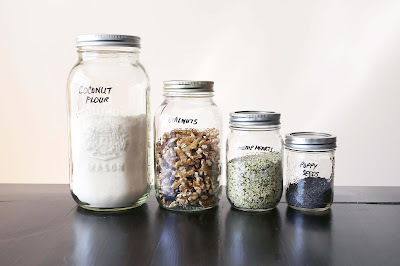 I came across this article during a Google search and really liked the recommended approach to cleaning out your pantry. It comes from a place of minding your health as well as from a place of organization. If you need some inspiration, be sure to check it out.